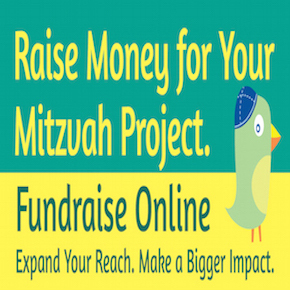 In preparation for Zachary Oser’s Bar Mitzvah in November, this 7th grader from North Penn chose to get involved in two different causes for his Mitzvah project. The first cause was to raise money for LLS – the Leukemia & Lymphoma Society. The drive to do this was to honor his grandfather, Dave Oser, who passed away last year in 2013 from Leukemia. Zach supported, and participated, in a LLS walk, and was proud to donate over $3,000 to the Leukemia & Lymphoma Society. The second cause was to bring smiles and happiness to children suffering from chronic illnesses by using his skills as a Balloon Twister. 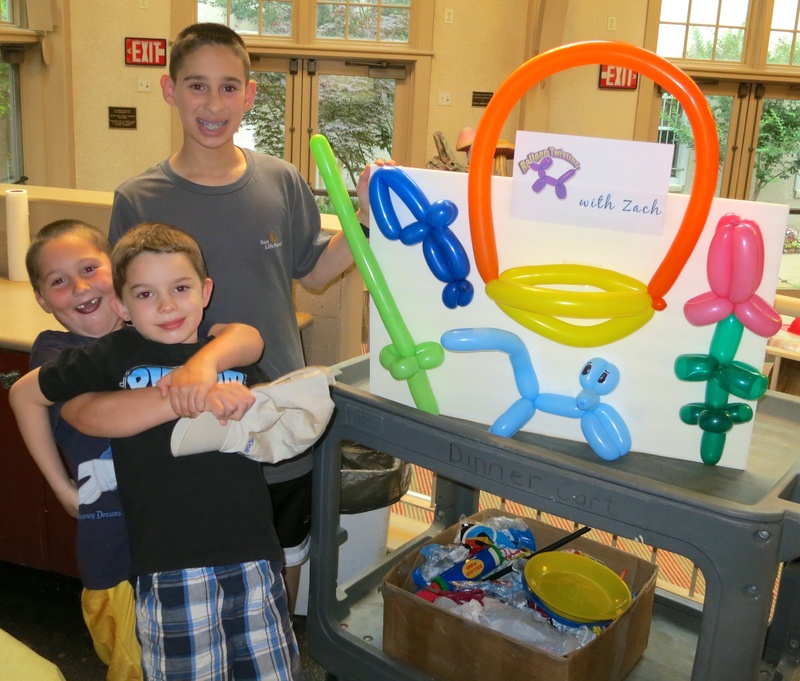 Zach has enjoyed twisting balloons for over a year and a half, and has become quite skilled! Zach’s first visit was to the Ronald McDonald House at Chestnut Street in Philadelphia. The Ronald McDonald House supports families of seriously ill children by providing them a community of comfort and hope, and a place to live while in treatment. 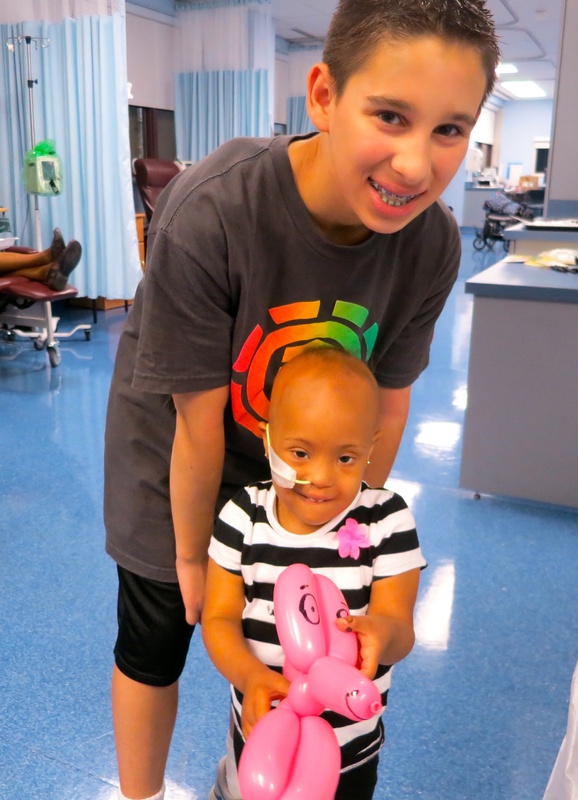 Zach’s second visit was to the St. Christopher’s Hospital in Philadelphia on the outpatient oncology floor. St. Christopher’s Hospital is one of the oldest full-service hospitals in the United States totally dedicated to the care of children. Zach truly enjoyed seeing the kids’ faces light up when he made the balloons. He saw how the kids got so excited when getting their balloons, and it felt great that he could make them so happy. To allow the kids to focus on something else for a brief time before their treatment was something that Zach was proud of doing. Zach had two very awesome and rewarding afternoons! Submitted to themitzvahbowl.com by Zach’s mom, Debbie. 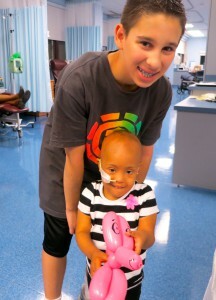 This entry was posted in Uncategorized and tagged balloon twisting, Leukemia Lymphoma Society, LLS, Ronald McDonald House, smiles on faces of children, St. Christopher Hospital, Zach on July 21, 2014 by Cheryl.